We love a "party dot" don't we? 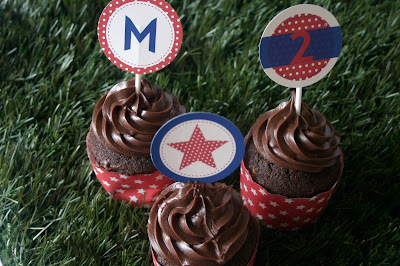 Cute, round and pretty they make decorating cupcakes a breeze! 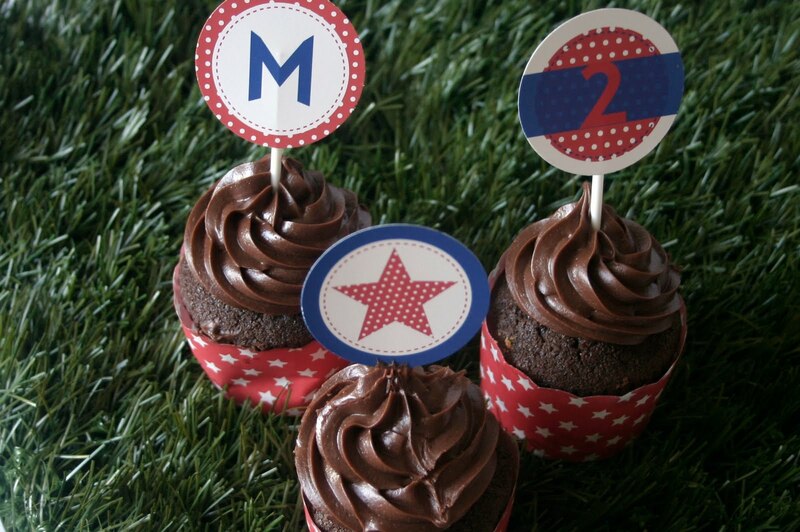 But wait...there's more to a party dot than cupcakes! There are so many uses. Recently, with the same design as the cupcakes above, I bunched new dots together to wrap a gift for my nephew's birthday. Added some red wool and... gorgeous! One stylish present. I thought it might be fun to share the versatility of these little 2" circles, so I've started an album on my facebook page for all the different uses of a "party dot" - more than a cupcake topper! 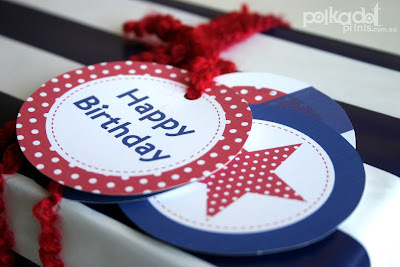 So if you're a fan of the Polkadot Party dot, and you've used it for a party, then post up your photos for everyone to see! I've put a few there to get things rolling, but I can't wait to see your creative ideas! Great idea! Recycling is a good idea!